Have you ever wanted to sail in the America’s Cup? Then check out the America’s Cup Sailing Experience in Auckland, New Zealand. This experience offers visitors the chance to take the helm, exert energy on the grinders or sit back, relax and enjoy the sail as they participate as crew on an actual America’s Cup yacht. Have a once in a lifetime experience sailing and participating as a crew in America’s Cup Sailing Experience with Sail NZ. 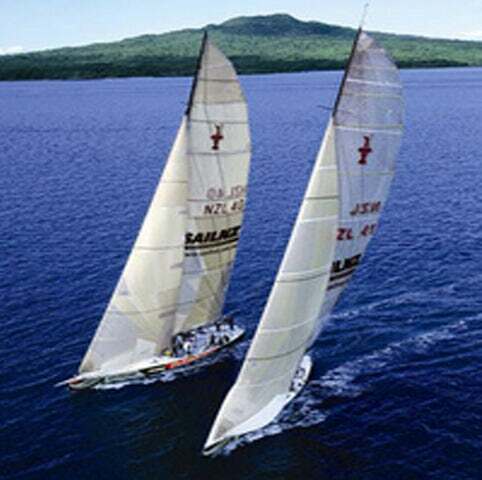 Be one with crew as you sail your way with a race or a 2 hour cruise up Auckland Harbour. With young and experienced crew you’ll be joining, sailing experience is not needed. You can just sit back, relax and enjoy the sail or join in with the crew and have the time of your life as a sailor. At America’s Cup Sailing Experience with Sail NZ, You’ll surely have an exciting and exhilarating sailing experience, plus, you’ll also get to enjoy stunning sceneries along the way. With Sail NZ’s fun and hardworking crew, you’ll get to enjoy every moment of the trip learning a few things here and there, sharing a few laughs, and most especially, enjoying the ocean breeze. Contact us now and sail your way around Auckland with America’s Cup Sailing Experience with Sail NZ!